My first introduction to the Jack London classic, ‘White Fang’, was watching the film in my basement living room as a wee young lad. I think it was right around the time movies were coming out on VHS, because it’s possible I converted my previous copy from the old Betamax machine (this transfer occurred at a one to one watching/recording ratio by the way). As children, my brother and I loved the movie – adventure, animals, nature and the superb acting of Ethan Hawke. As I continue my reminiscing mode I’ve been in for the past couple of months, I’m finding some solace in these young adult classics. 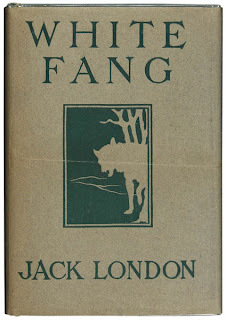 The writing of Jack London improves slightly in the telling of this tale in comparison to ‘The Call of the Wild’, but the story has a more commercial feel to it which tends me to feel more strongly about the previous work. Also, when you compare this novel to some of the classics I have been reading, it’s obvious to me that the writing of Jack London is several levels below some of the great writers I have been used to. That said, you have to look at this work as an adventure book with some solid morality lessons for children and some glimmer of deeper meaning for adults. The book, similar to ‘The Call of the Wild’, is through the eyes of wolves. In this case, the book starts out through the eyes of a half wolf-half dog wild animal that takes the lives of a sledding team in the north again during the Gold Rush in the Yukon beginning in the summer of 1898. The wolves are so hungry, that they also take the lives of a human. Eventually, the ‘She-wolf’ mates with another (One Eye) and has a pup named White Fang… the only survivor from a litter of four. Now, back to the plot. The Indian captor named Grey Beaver, eventually follows the white man into town in an effort to sell his wares. This, of course, is where the American self indulgence of the time comes through: “It was at Fort Yukon that White Fang saw his first white men. As compared with the Indians he had known, they were to him another race of beings, a race of superior gods. “ Doesn’t that make you feel a little sick? I like to believe that we’ve come great lengths in humanity since those days, but I’m not completely sure (in regards to the ‘Indians’ or otherwise). Back to the plot, again. Grey Beaver becomes very wealthy, making a 1000% profit and succumbs to alcoholism (another present by the white man). In poverty due to his addiction, he eventually sells White Fang for booze to Beauty Smith. It is here that White Fang is abused and begins his dog fighting career… which is ‘successful’ up until he meets his first bull-dog (really, a pit-bull) and is saved from the clutches of death by a connected member in the community and his servant, Scott and Matt, the former of which becomes White Fang’s new master. They debate shooting him after he kills one of their dogs and attacks both men, but eventually Scott trains White Fang by showing him love – something White Fang has never seen. Then White Fang falls in love himself (I feel this is kind of hokey, but perhaps it’s just me). When Scott leaves White Fang doesn’t eat and approaches death, and then Scott reluctantly takes him to California where the dog eventually fits in, saves the family from a wrongly accused murderer escaped from prison and knocks up another dog and becomes a father. All very Disney without the Old Yeller heartache. White Fang is portrayed as a sympathetic character. Because of his half dog-wolf breeding, he doesn’t fit in with other dogs and is constantly fighting with them. He finds man and obeys, but then he constantly fights against torture and torment until he finally finds someone who loves him. He has the ability to adapt very well to his changing surroundings, but his wolf instincts (as well as his past history) never allow him to fully trust any man other than Scott. I suppose how you interpret the outcome of this book has a lot to do with the reader’s mindset. An optimist would say that White Fang finally finds love despite all the atrocities. The pessimist may say that with all the evil that man is capable of, perhaps it only makes sense to look out for yourself and confide in a small sample of people that you can trust. The book is a nice easy read full of adventure, and probably a good one to read to children just entering elementary school or a nice read they can start out with on their own in about middle school. For me, I tried to focus more on the story and it was a relaxing book without too much literary intensity. Heya - love your blog and the book club concept. I'd like to join the club but can't quite seem to find your email to send you my details. 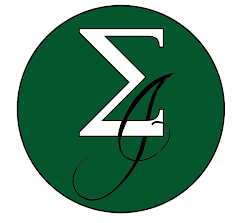 :) Please let me know how I can reach you to contribute my literary prowess and unique weltenshuung to the group soon.